This region of Florida is known as the "Treasure Coast" and for good reason. A hurricane in 1715 wrecked a Spanish treasure fleet carrying an estimated $14 million in gold, silver and coins. The 10 galleons sank just south of the Sebastian Inlet. An estimated 700 people died but another 1500 made it to shore. The surviving Spaniards established a small village on the beach for their salvage operation. Some say indians supplied food to the survivors. Indian River County was established relatively late in Florida's history. Prior to May 30, 1925, it was actually a part of neighboring St. Lucie County until legislature formed it into the state's 64th county. Appropriately enough, Indian River County is named after the Indian River Lagoon. Citrus was the backbone of the local economy. One of the first orange groves was planted in 1880 by Frank Forster, a german boat captain. Unfortunately, his grove just north of the Wabasso Bridge was destroyed by the killer freeze of 1893-94. Among the most frequently sighted are the brown pelicans, great blue herons, great egret, snowy egret and white egret. Some spoil islands are popular nesting sites for brown pelicans, egrets, cormorants and more. Vero Beach is also the home of the "Old Vero Man". An archeological site located in 1913 while digging the main relief canal, the Indian River Farms Company found fossils belonging to extinct Ice Age animals, mammoths, saber tooth cats etc. It is also the site where the first people lived 11,000-22,000+ years ago. Ya'll come and visit Vero Beach/Indian River County, enjoy our History and see our Beauty. 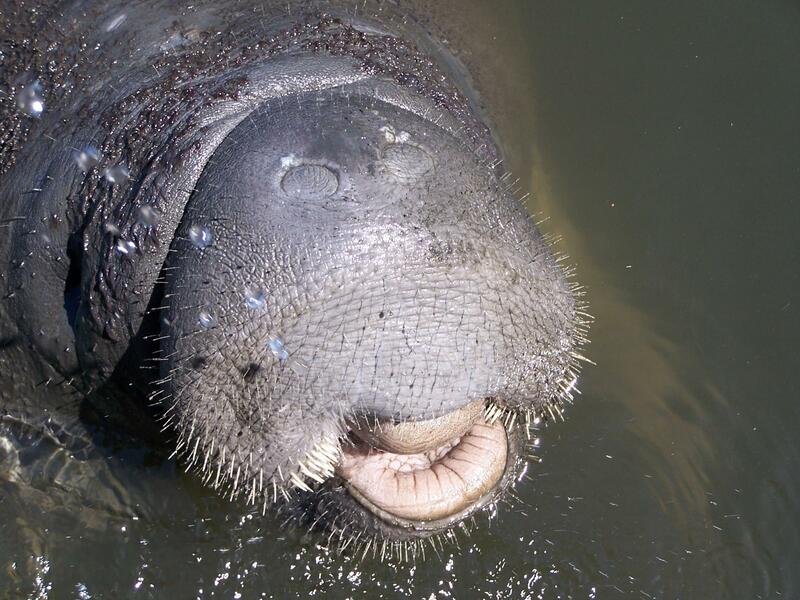 And spend time on the Indian River Lagoon with Capt. 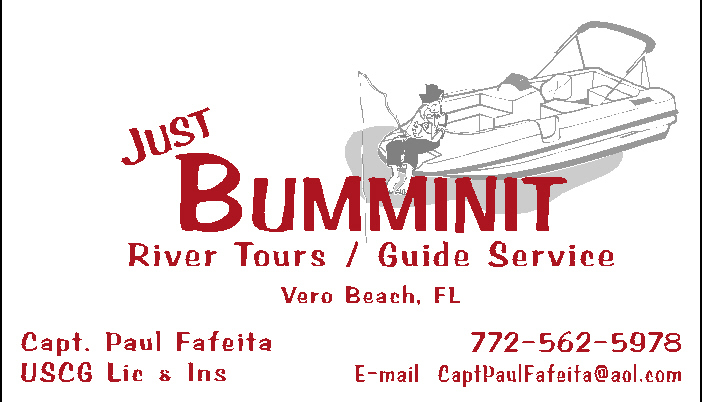 Paul Fafeita and Just Bumminit Guide Service - "Where the Tropics Begin."